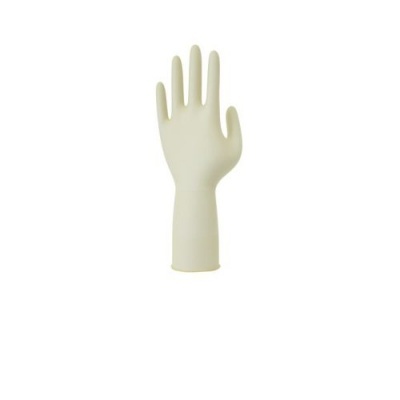 As most surgical gloves are composed of smooth nitrile, latex or vinyl, it's rare that they can offer a high level of grip.. Featuring a textured surface, the Medline Signature Grip Latex Surgical Gloves MSG29 have been specifically designed to provide enhanced grip and feel, making procedures easier and more comfortable for surgeons, and therefore better for patients. The Medline Signature MSG29 Powder-Free Gloves have achieved the EN 455 standard for single use medical gloves. This means they have passed testing for impermeability, correct sizing, strength and thickness, elasticity and biological safety qualities. 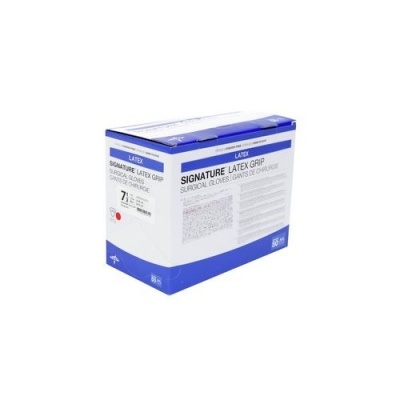 The Medline Signature Latex Grip Powder-Free Surgical Gloves are sterile surgical gloves which have been specifically developed for use in operating theatres. They are ideal for use in general surgical applications. The Signature Latex Grip Gloves are designated Category III gloves, meaning they have a complex design which is intended to protect against the highest levels of risk. 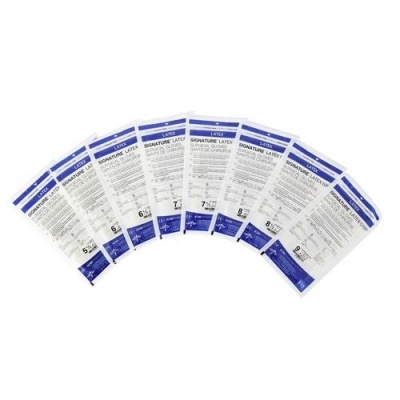 The Medline Signature Latex Grip Powder-Free Surgical Gloves are available in eight different sizes, making them suitable for most users. Please measure the circumference of your hand around the knuckles (excluding the thumb) with your hand open and your fingers together, and the length of your hand from the tip of your middle finger to your wrist. 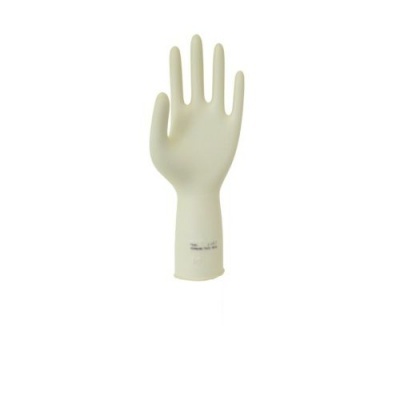 Please note that the Medline Signature Latex Grip Gloves are thin, disposable medical gloves that are designed for a close fit. They feature a fingertip thickness of 0.22mm.